Kelly Jo was born 15 October, 1966 in Plentywood, Montana to Ernest and Berniece (Grenier)Getchell. Kelly graduated, with honors, from Sullivan High School, Sullivan, Sullivan County, Indiana in 1984. She was a member of the National Honor Society and was published in the National Scholastic Society Book in 1983 and 1984. 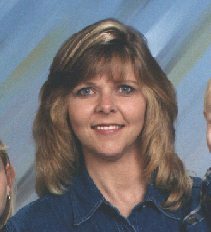 In 1985 she married Toby Kinnett in Gulfsport, Mississippi and in 1986, Kimberly was born. Kelly and Toby divorced. In 1992 she married Everett Hanmore in Bremerton, Kitsap County, Washington. Everett and Kelly had two children, Kelsey and Dominic. Kelly is active in bowling, loves movies and dancing and quality family time.